Packages is for discussion of R packages, ideas for new ones, deprecation of packages, etc. The Community category is for news/discussions about the community. If you're not sure if a post is appropriate for this category, just ask! UseCases is for discussion and reporting of use cases. When opening a new topic in this category you’ll get a template to direct you towards the kinds of things we’re looking for. This category is for job postings. Please keep your posts limited to jobs that seem like a good fit for our community. That is, jobs relating to software + science. Ask us if you have a question about whether your job posting is appropriate or not. Questions is general purpose category for questions about software use, development, etc. This category is for questions about how to do things. That is, what is the community accepted best practice for doing X, Y, or Z. The Code of Conduct category is reserved for transparency reports made by the rOpenSci Code of Conduct Committee. 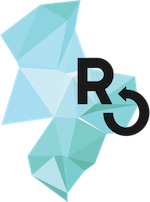 FeatureRequest is for feature requests in our software, or on any other rOpenSci projects, like our website. Discussions of software review, likely related to our onboarding repository, and other related repositories and tools. Bugs is for reporting bugs in our software or on our website, either in code, spelling, etc. Read our Contributing Guide and then tell us about your expertise and interests. We’ll try to match you with a package that could use your help.